Enkhtur Bayarsaikhan is a character designer and 3D artist living in Ulaanbaatar, Mongolia. He has illustrated many books and posters and created company logos and television commercials. His work has won several awards. Enkhtur is an amateur swimmer who likes to train with Mongolia’s Olympic swim team. He also enjoys horses, technology, and sharing his love for Mongolia. More projects with Margaret are coming soon! 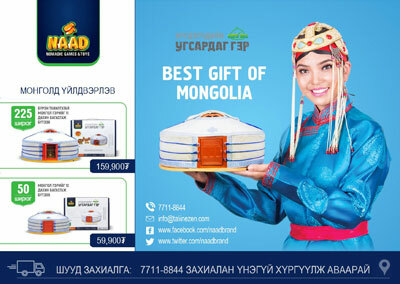 Bayarsaikhan Sandagdorj is an entrepreneur in IT/ BayarAgency CEO, NAAD Brand founder/ TaliinEzen LLC, NomadX Camping Gear, based in Ulaanbaatar, Mongolia. He received a Bachelor of Industrial Management at the Faculty of Business Administration at Humanity Science University, Master of Business Administration at IFE-Handon Global University (MBA). NomadPedia.org | As manager of The Nomad Pedia project, Bayarsaikhan aims to preserve nomadic lifestyles and culture for future generations. 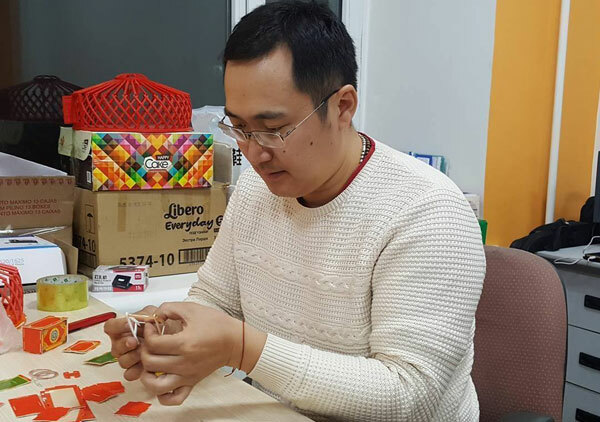 Bayarsaikhan is currently working closely with Seunta LLC to create a traditional size model horse that accurately represents the Mongolian horse. The first release, "Giingoo", will be available early 2019. Bayarsaikhan will have several gift sets that include miniature handmade Mongolian tack made to fit the model, and the model will also be available through seunta.com. There are four different types of Mongolian horse, based upon the different regions in Mongolia from which they come. The types include the Steppe, Gobi, Mountain, and Forest. 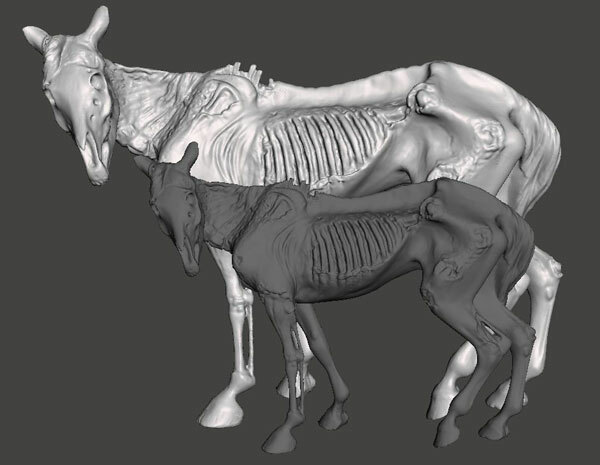 While the Steppe is faster and smaller, making it a great horse for riding, the Forest is the heaviest and largest of the four types. The Gobi is a desert horse, as well as the smallest, while the Mountain is the mid-sized type that has a similar body structure to the Altai Horse. Mongolia is home of The Mongol Derby, a 600-mile expedition considered the longest and toughest horse race in the world. The Mongol Derby loosely follows the route created by Genghis Khan in 1224 to carry riders whose mission was to deliver information and facilitate communication throughout the empire. The race is likely to include the following variety of terrain; high passes, green open valleys, wooded hills, river crossings, wetland and floodplains, sandy semi-arid dunes, rolling hills, dry riverbeds and open steppe (characterized by grassland plains without trees and extreme temperatures). Riders must balance survival skills and horsemanship as they use their own navigation to figure out how to get to 25–28 checkpoints. All projects with Brigitte are kept confidential until release. 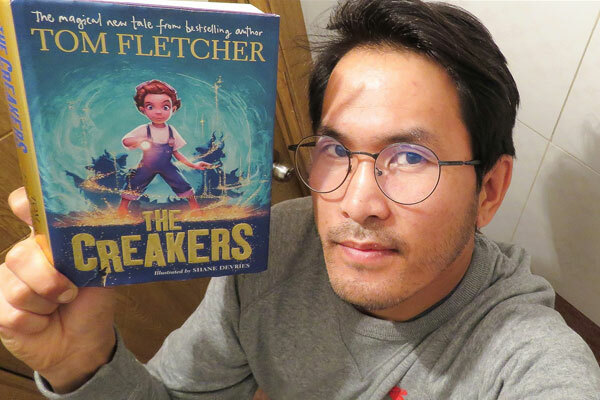 New projects coming late 2018! All projects with Breyer (a division of Reeves International, Inc), both active and completed, are confidential. 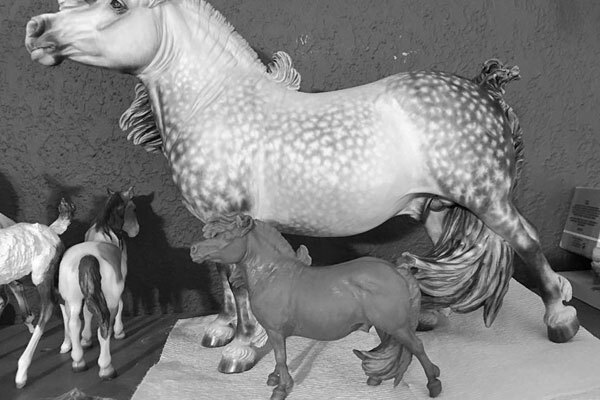 Jasmin has been in the hobby since 2007, although she started collecting model horses in her early childhood. 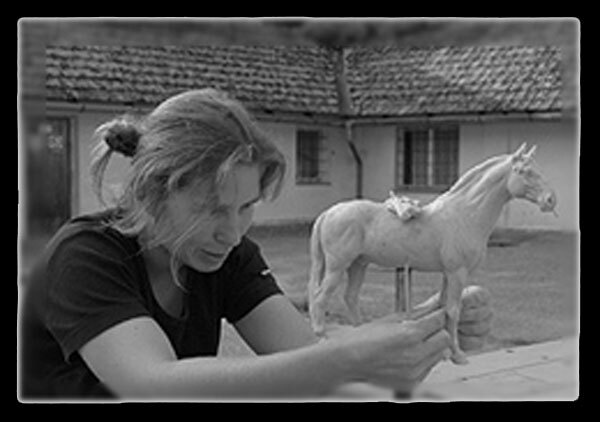 Animals and especially horses always fascinated her, and after drawing them for years, she started capturing the souls of horses in sculptures. 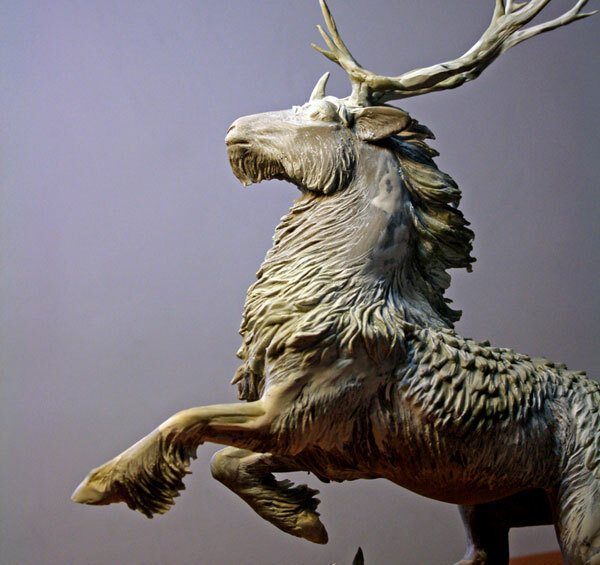 Her patience in observing every movement of the horse as a child has led her to create stunningly detailed sculptures by now. She has made several commissioned cust and paint jobs over the years, many of those won first prizes in live shows all over the world. Besides showing the beauty of nature, Jasmin wants to create a peace of art in every sculpture she makes. Jasmin has already turned her talent into her job. After having studied art and graphic design in Munich, she worked as a freelance designer and illustrator for many years, and is now creative director in a popular e-commerce StartUp. 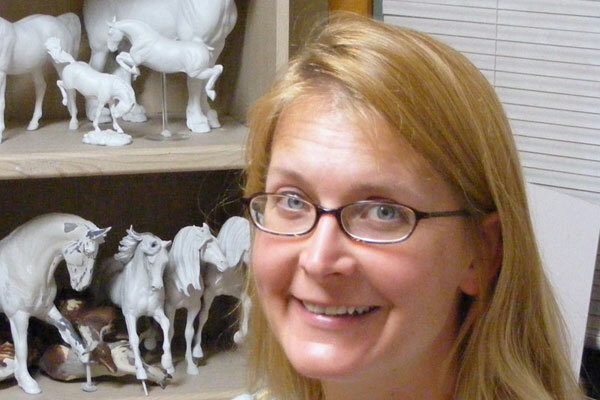 Her dream is to create model horses for a living. 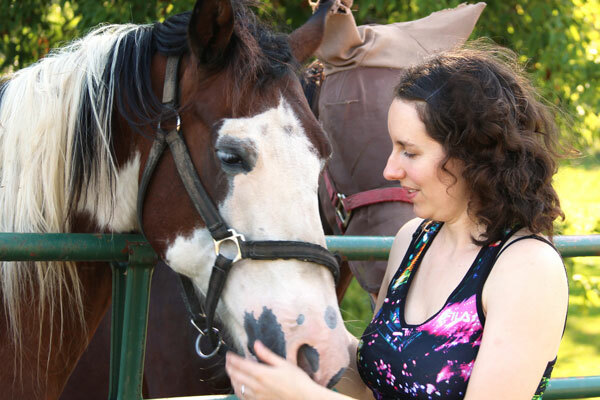 The rapport Candace has with horses enables her to bring a special insight into her pieces. "I want people who love art to see my work as sculptures that reflect composition, movement, complexity and emotion. But just as important, they are expressions of my love for the medium I choose to use and the animals I portray". Candace feels very honored to now be a full member of the American Academy of Equine Art. After more than 30 years of doing Equine Art it is gratifying to be included into this elite organization in such a capacity. 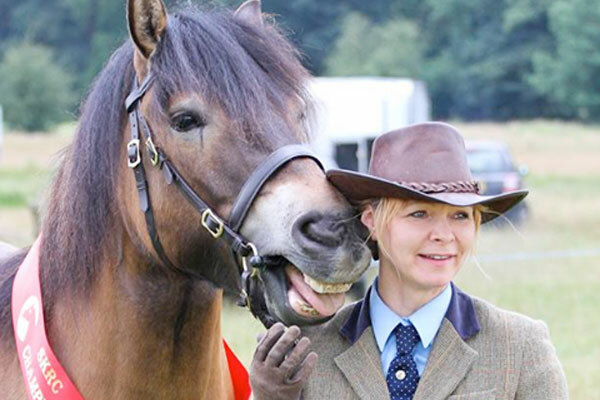 She hopes that her work will continue to reflect on the AAEA and her participation in the group will further our goals to represent the horse in all its beauty. (traditional size TB) "Come Summer"
Anyway, this cutie is to be released in resin very soon! She would be considered (large) traditional scale. 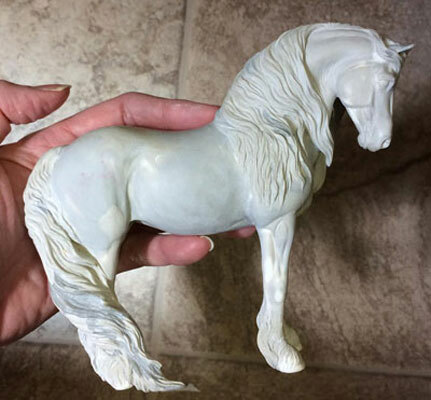 The foal measures approximately 6.5” Long x 6” High x 1 3/8” Wide.